Operating a Logistics or Supply Chain business can be quite taxing and a complex affair. 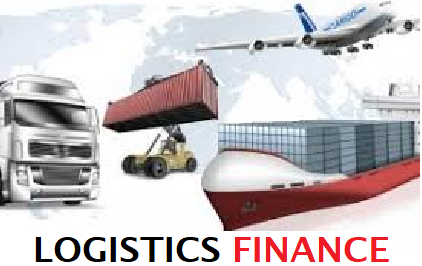 Stakeholders in logistics such as Transporters, Warehouse owners, Packaging setups, 3PL / 4PL Players, freight forwarders, Consolidators, material handling suppliers, will need to access finance, borrow or raise capital for their day to day operations, expansions and new business commitments. This can be quite a daunting and overwhelming task in itself. Selecting superior Logistics Finance solutions, however, can relieve the stress of the financial demands, which allows businesses to focus on business. However it is common knowledge that Business Leaders or entrepreneurs do not have the wherewithal to understand the best finance options with the most innovative solutions. From small to medium to large enterprises the requirements could vary and therefore palpable that most times expert help is drawn to execute the requirements. In India one would turn to Banks, NBFCs, Financial Institutions, High net worth Individuals HNIs, Private Equity, Venture Capital Funds, Global Financial Institutions, Start-up funds etc. In the current markets, banks can provide relatively low-cost capital to help finance a company’s growth. These options include operating leases, capital leases, and term loan purchase financing. Banks that operate equipment finance and commercial vehicle finance divisions can provide a full array of financing options, revolving credit facilities to fit the client’s needs. Hire Purchase enables you to acquire an asset while paying for it in installments over an agreed timescale – the term. At the end of the term, you have the option to purchase the asset outright. Far more flexible than a conventional loan, Hire Purchase lets you spread the cost of your investment over the life of the asset, making it easier to budget. Hire Purchase is particularly suitable for acquiring vehicles. Invoice Discounting is an alternate finance solution for businesses to unleash the power of Invoices. In essence, it means you can sell your invoice at a discount and use that money for the smooth functioning of your business operations. Invoice discounting can help fund the Logistics & Transportation industry by freeing up cash sitting in unpaid invoices. The dependency on unpredictable and fluctuating factors makes it all the more necessary for organizations to have a strong cash flow system. Factors like increased competition, tighter margins, longer & delayed payment cycle, payment defaults only add on to the many challenges that one could face. Overdraft Facility and Credit Line- Here the borrower only pays for the interest applicable to the amount that has been overdrawn. The rates are typically set between 1 and 2 percent above the prime rate of the bank. Short term Loans- A short term loan comes with a fixed interest rate and payment period. The loan repayment period is typically 12 months. Among all types of working capital loans, this particular credit facility is usually secured. Trade Creditor- A loan that is provided by a present or potential supplier is called a trade creditor working capital loan. Factoring- Cash advances are made basis the sale of future logistics company revenue (at a discount to the factoring company) in return for immediate financing. A letter of credit is a letter from a bank guaranteeing that a buyer’s payment to a seller will be received on time and for the correct amount. In the event that the buyer is unable to make payment on the purchase, the bank will be required to cover the full or remaining amount of the purchase. Packing credit is basically a loan provided to exporters or sellers to finance the goods’ procurement before shipment. The bank will make the funds available to a letter of credit issued favoring the seller and a confirmed order for selling the goods or services. The above listed loans may not be an exhaustive list and will have many variants and customised options available. The Rate of Interest ROI will vary depending on the Interest rate regime, clients credit risk and repayment ability and also the institution that is lending. Credit ratings from bureau are also referred to whilst sanctioning loans. Feel free to write to us or call us for more details. Copyrights © 2016 Valueshipr. All Rights Reserved.